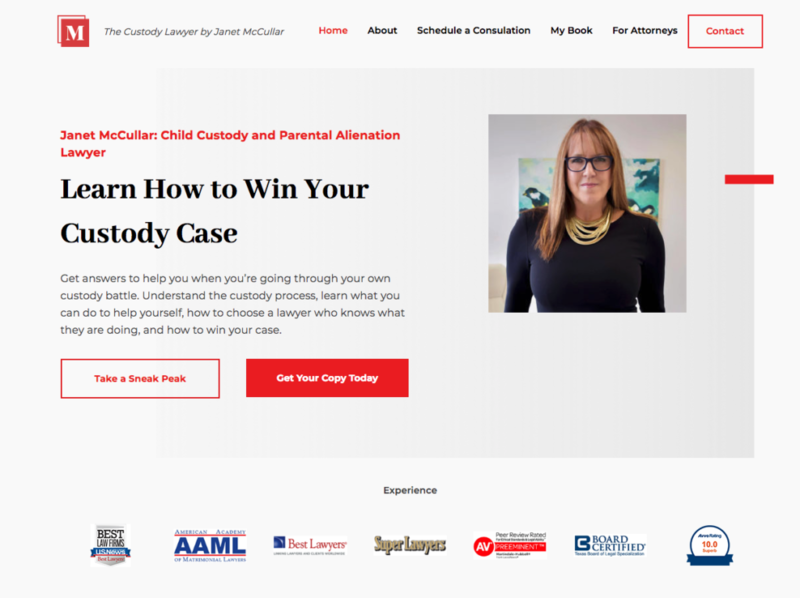 An existing client wrote a book called The Custody Lawyer and needed a professional, clean website that promoted the book as well as her high-end speaking and coaching business. Our designer built a classic, contemporary layout utilizing best-in-class technology and conversion processes. The layout clearly publicizes the book as well as provides clear contact information and buttons to schedule services. We included customer testimonials, book reviews, and a call-to-action to sign-up for news updates. The website navigation is straightforward, making information easy to find and accessible. We focused on incorporating the colors used in the book cover to enhance the layout design and make important items stand out.